"Concealed within his fortress, the Lord of Mordor sees all. His gaze pierces cloud, shadow, earth and flesh." Alyssum start from very small seeds so it is suggested that you plant a pinch of seeds together, will grow denser together too. It’s also a good idea to start them insides since strong winds can heavily damage them during the early stages of growth. As it grows it will expand out quite a bit so allow plenty of space for that, is a very good ground cover. Will grow about four inches tall if planted in ground, and about six inches or more if planted in pot. 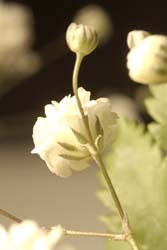 The actual flowers are small bits of white extending along the stem starting about one inch off the ground. The denser they are the more heavier the white will appear from a distance almost like a layer of snow (thus the name snow cloth). Wonderful fragrance too, can plant from full sun to part shade. This feather-like silver plant grows 2-4 feet in height and has yellow flowers in mid-summer. The mounded shape almost resembles clouds. Large rose pink or blue flower clusters will bloom all summer. Grows 2-3 feet tall, though some varieties grow much larger. A perfect tree for Lorien! Bunches of white flowers bloom in the spring, little red berries pop up in early fall, and then the foilage turns to coppers and golds and yellows. Don’t expect this tree to grow extremely tall because it will only get to about 25 feet. Creeping Phlox is an easy to grow goundcover plant that enjoys full sunlight. Blooms are either magenta, white, or purple. 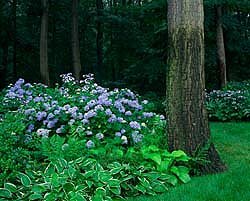 The white and purple are recommended for the Lorien garden. 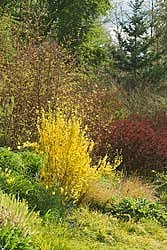 Try planting on a slope for an interesting effect. This is an airy, light plant that is drought tolerant and easy to grow. Plant in rich, well-drained soil and in full sunlight. The tiny blooms are either light pink or white. Watch this plant twist its way around your garden. A shrub that grows 4-8 feet tall and spreads 5-8 feet. Plant in full sun and fertile soil. 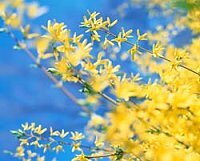 When in full bloom, this shrub is beautiful to look at with its stems full of golden flowers. This fragrant shrub grows 6-48 inches and needs full sun to partial shade. Leaves and dark green flowers are in white, pink, yellow, or purple. Some varieties bear small red or black fruits with poisonous seeds. You can keep it as a tree or bush. It grows slowly and can be 2 – 5 m high. 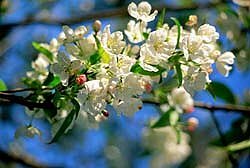 has blossoms that can reach a diameter up to 30 cm, are white, cream, yellow or pink and seen during May and June. The Magnolia needs a sunny place and does not bear extreme temperatures, because it easily gets frost damage. E.g. the Magnolia grandiflora “Galissoonieri” grows here (that means in Germany and where the climate is similar) only well in a tub. Also grow well in most parts of U.S.
Crocuses are also available in many different colors, though combinations of colors purples and whites are suggested for your Lorien garden. There are sorts blooming in spring and some that bloom in autumn, or even late autumn if there is no frost. Spring crocuses should be put in the ground in autumn (until the end of October), and autumn crocuses in summer. You should choose a place that is sunny enough. 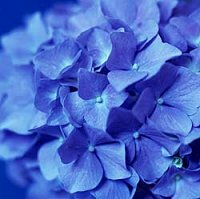 It looks very beautiful if they grow in groups of about twenty. In the center of your bucket plant lavender and artemisia. Along the outside use purple and white creeping phlox and baby’s breath. The lavender and artemisia will stand tallest in the center while the other two plants will creep around the sides and over the edge of the bucket. The purples, whites, and silvers have a dreamy quality to them. Just sit back, close your eyes, take in the scent of lavender, and dream the day away. While space may be limited try and find enough room for a small bench, there’s nothing better than thinking to yourself among the fragrance and colors of your Lorien garden. Add a silver gazing ball for meditation or just a quick break from the day. A Lorien garden is there to relax and heal.